Infection caused due to the Herpes Simplex Virus (HSV) when transmitted through liquids or things used by an infected person is called cold sores. These sores are red, patchy and itchy. They are usually very painful. The sores can appear anywhere near the mouth and hands. Infection by this virus also causes nausea, dehydration, swollen throat and irritated gums. Here are some simple and effects methods of using tea tree oil for cold sores prevention. Does Tea Tree oil Help Cold Sores? Tea tree oil has natural healing properties which help in healing the cold sores formed on the skin. It works as a natural anti-bacterial, anti-viral and anti-septic. 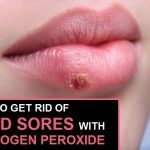 It helps in clearing the wounds caused by cold sores as it can kill the bacteria. 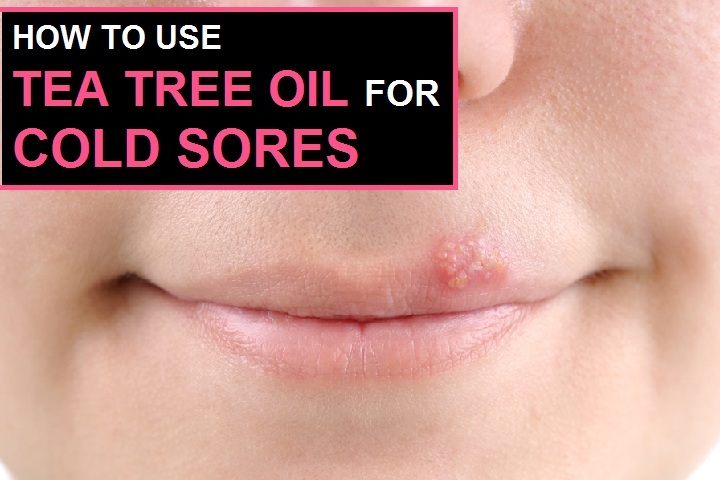 Tea tree oil also dries cold sores inhibiting further infection on the skin. A natural product that has been extensively used for cold sore treatment is tea tree oil. Tea tree oil is the oil derived from tea tree leaves. The primary composition of tea tree oil is hydrocarbons such as monoterpenes and sesquiterpenes which attribute to the wide range of therapeutic properties it possesses. Tea tree oil contains at least 100 other compounds that include terpinene-4-ol and 1, 8-cineole that provide tea tree oil with anti-inflammatory and antimicrobial properties as well that can prove it to be one of the best remedies for cold sores. Depending on the concentration of tea tree oil, it can be applied directly or diluted with warm water. Use a cotton swab to apply the oil. Leave it on the affected area for a while and then wash.
Repetitions: Repeat the above process several times in a day. Continue with this remedy till the cold sores get cured. Tea tree oil lip balm can be used every day. It can be bought as an over-the-counter product from a nearby pharmacy or can be purchased from the internet. This will not only help cure cold sores but also helps in preventing future outbreaks. Take both the oils in equal quantities and mix well. 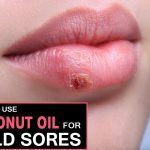 This oil mixture can be applied directly on the cold sores. Vitamin E oil prevents the drying of the skin caused by tea tree oil. Use a sterile cotton swab to apply this on affected areas. Repetition: This process can be repeated twice every day till the cold sores get cured. Tea tree oil can cause drying of lips when applied to the sores near the mouth. It is advised to apply lip balm while using tea tree oil near the mouth blisters. Tea tree oil can cause some side-effects like further skin irritations, or react with other medications being used. Consult a doctor immediately if you contract any side-effect. 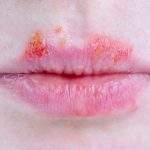 It is always advised to conduct a patch test before using tea tree oil for cold sores or before applying it on the infected area. If your skin reacts negatively to tea-tree oil it would be best to avoid using it. Also, ensure that the concentration of tea tree oil is within the suggested limits. If it is of higher concentration, dilute it before use.